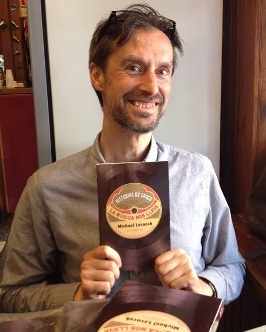 Michael Lavocah brings tango music to life. A leading expert on the music of tango’s Golden Age, he is also a natural raconteur. In his seminars he connects the dancers to the musicians who created this beautiful music by telling something of their stories and explaining the relationship between their lives and their music. His presentations are captivating, entertaining and informative. In 2012 he created a new genre of tango writing with his book Tango Stories: Musical Secrets, the dancer’s guide to tango music. His current project is a series of books exploring the great tango orchestras, Tango Masters. Michael travels all over Europe and beyond, giving seminars on tango music, musicality (dancing to the orchestras), and how to DJ. He is also well-known as a DJ at festivals, marathons and encuentros; TodoTango asked him to write some articles about tango DJing. He has taught in sixteen countries and is especially in demand in Germany, where he has taught at more than a dozen cities and is a regular in places such as Munich, Cologne, Hamburg, Darmstadt and Dresden. Michael runs the tango music website milonga.co.uk, a reference point worldwide for anyone looking to find out about tango music on CD. As a long time practitioner of Tai Chi and the Taoist arts, his dance teaching has a strong focus on body awareness as well as musicality and technique. He lives in England.